Panel of experts recommends the integration of research data management into the university curricula of young researchers. The ZBW – Leibniz Information Centre for Economics and the German Data Forum initiated a debate on the topic at the annual meeting of the Verein für Socialpolitik, the most prestigious professional association of German-speaking economists, held in Düsseldorf from 4 to 7 September 2013. Demands to make publicly funded research data available to other researchers often go unheard. Although the providers of research funds such as the German Research Foundation or scholarly associations such as the Verein für Socialpolitik plead the case for more data exchange between researchers, few scientists so far have been willing to provide their data to others for effective re-use. These are the results of the panel on research data management held on 6 September 2013 at the annual meeting of the Verein für Socialpolitik. 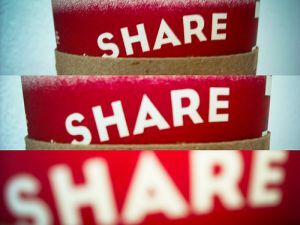 The round of experts pleaded for a stronger “culture of sharing”. This could be created by raising the awareness for the importance of documenting and sharing data among the younger generation of researchers. In order to provide incentives for documentation and “Open Data”, the citation of data is of critical importance. The panelists agreed that research data management should be an integral part of university curricula. Initial success has been made at the level of infrastructure, in particular regarding the establishment of institutional research data centres at large research institutes or universities. But most smaller or third-party-funded projects in economics and social sciences still lack opportunities to deposit data in a data repository or to find support in their data management. Here the current funding programmes of the German Research Foundation (DFG) and other funding organisations could help to address the problem with innovative and discipline-specific solutions. The panel discussion was organised by the ZBW – Leibniz Information Centre for Economics and the German Data Forum (RatSWD) who collaborate on the DFG-funded Project EDaWaX (European Data Watch Extended). The event was held during the annual meeting of the Verein für Socialpolitik hosted by the University of Düsseldorf. The ZBW – Leibniz Information Centre for Economics (http://www.zbw.eu) is the world’s largest information centre for economic literature, online as well as offline. Today the institution holds more than 4 million volumes and subscribes to 26,000 periodicals and journals. In addition, the ZBW provides the fastest-growing collection of Open Access documents on the internet: EconStor, the digital publication server, currently gives free access to 60,000 articles and working papers. EconBiz, the search engine for international economic information, allows students and researchers to search among nine million datasets. The ZBW edits two journals in economic policy, Wirtschaftsdienst and Intereconomics, and in cooperation with the Kiel Institute for the World Economy produces the Peer Review Journal Economics based on the principle of Open Access. The ZBW is a member of the Leibniz Association and has been a foundation under public law since 2007. In 2011, 2012 and 2013, the ZBW received the international LIBER award for its innovative work in librarianship. The German Data Forum (RatSWD) is an independent body of empirical researchers from universities, colleges and other institutions of independent scientific research, as well as representatives of important data producers. It was established by the Federal Ministry of Education and Research in 2004. The goal of the RatSWD is to sustainably improve the research data infrastructure underlying empirical research and contribute to its competitive ability on an international level. The RatSWD has established itself as an institution of exchange and of mediation between the interests of science and data producers and therefore an important platform for communication and coordination. With regard to standardisation and quality control of data and the further development of research data centres and data service centres, the RatSWD plays an important role in the social, economic and behavioural sciences by performing an advisory function, initiating new developments and securing quality.